How often do you update your Facebook Cover photo? The answer is probably not enough. I asked Facebook marketing expert Mari Smith through her Facebook page and she said, "I change mine about once a week.... rotate them. It's up to you. But once a month at least!" If you are having a hard time figuring out how to regularly update your Facebook cover photo, the answer might be Instagram. If you are active on Instagram or if your Facebook Page fans are active on Instagram, you can turn the best images into a beautiful collage and use it as a Facebook Cover photo. 100% free custom designed filters and borders such as XPro-II, Earlybird, Rise, Amaro, Hudson, Lo-fi, Sutro, Toaster, Brannan, Inkwell, Walden, Hefe, Nashville, 1977, and others. 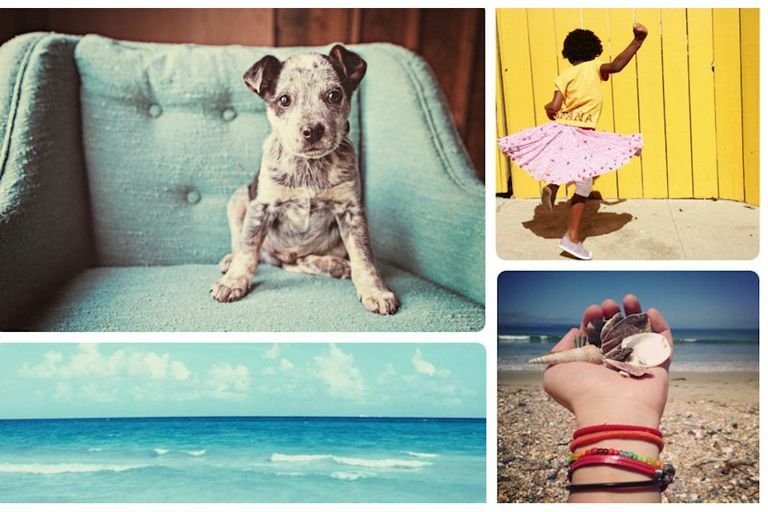 Instagram collages can be made manually, or by the help of an application or website. The following are different options for creating a collage using Instagram. Instacover: Instacover is a website that lets you quickly and easily assemble a collage of your Instagram photos to spruce up your Facebook page. To get started, you have to sign-in with your Facebook account. Next, you’ll need to authorize this app to access your basic information and also post on your behalf. You can choose your own photos, insert user ID of another user, specify a category, tags or select from photos that you liked. You can also choose the layout, spacing, add text with a color of your choice and do much more. The image is not directly made your profile cover, but it is saved to your album on Facebook. On your timeline page, click on “Change cover > Choose from Photos” and then select your newly created image as your cover. The final image will have a stamp that states “Created with Instacover.com”. Pic Collage: This is a Smartphone application that allows users to import photos from their photo library, their Facebook albums (and your friends' albums too), or use photos from the web to create a collage. There are also lots of fun backgrounds and stickers for you to choose from! Since we would be using Instagram, we can easily save our Instagram photos into our photo library. First, save all Instagram photos you would like to be included to your Smartphone or Ipad. Next, create the collage with the photos that you choose using the application (once downloaded). Save the collage to your Smartphone or Ipad. Upload the photo to Facebook and set as the cover photo. Pic Stitch: This is another smartphone application that allows users to create a before-and-after sequence, combine great photos, or produce a photographic series. It has 32 different layouts and is easy to use. Because we would be using our Instagram photos, we could save them onto our Smartphone or Ipad for easy access. Below is an example of the application via your Smartphone or Ipad. Photoshop: The advantage to creating your Instagram cover photo for Facebook using Adobe Photoshop is that you have full control over the pictures, the size, and the clarity of the photo. The best way to go about making this type of cover photo would be to first download any images from Instagram to your computer via e-mail. Then, you have to keep in mind the dimensions of the Facebook cover photo, which is 850 by 315. Using these dimensions will ensure that the photo is clean and clear in resolution. http://youtu.be/DBiQdanJWh0 - This video contains information on how to use their collage templates to create a collage timeline cover photo via Photoshop. http://youtu.be/wDTMxXwDPbM - This video is very helpful in explaining how to use Photoshop to create a collage of photographs. When using this video tutorial to create a cover photo for Instagram, you would have to email yourself the photos from Instagram, and then save them to your desktop. Then, be sure to use the pixel dimensions 850 by 315. These dimensions are essential to creating a cover photo that fits your Facebook page clearly. Overall, there are many different options for creating a collage of Instagram photos as a cover photo for Facebook. For those of you who are proficient users of Photoshop, we recommend using that option. This is because although it requires the most effort, it produces the clearest and highest resolution picture. For the rest of you non-Photoshop users, Posterfuse offered the easiest and highest quality solution to creating an Instagram collage. It is unfortunately gone now.